Accreditation Helps Agency Better Manage Resources During Tough Economic Conditions | CALEA® | The Commission on Accreditation for Law Enforcement Agencies, Inc. The Trotwood, Ohio Police Department is a B-size CALEA® law enforcement agency, accredited since March 2003. The City of Trotwood is like many other Midwestern cities in America facing tough economic conditions like job loss, high unemployment rates, high foreclosure rates, and reduced or diminished resources with which to provide basic city services. As a result of being CALEA Accredited, the Trotwood Police Department has been able to adjust to these changes in its internal and external environments through utilizing the CALEA Standards as a blueprint for the efficient use of our resources and improved service delivery. For example, we conducted a workload analysis prescribed by CALEA to determine how efficient and effective we were at distributing our manpower resources. By doing this, the department was given the opportunity to address areas of service delivery that needed to be improved and would definitely impact the way we did business. We reviewed the analytical data by: hour of day; day of week; average time required to handle incident task; calculation of percent of time, on average, that should be available to the patrol officer for handling incidents during an eight-hour shift; time lost through days off, holidays, and other leaves compared to the total time for each assignment; as well as the temporal/geographic distribution of incidents. 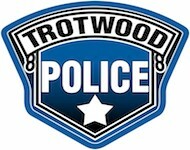 The Trotwood Police Department determined we could provide better service to the community by changing the work hours and duty schedules to reflect a more efficient distribution of manpower in relation to the city's workload demand. As a result of analyzing our priority call for services and making changes in the work hours and duty schedules, the department improved its overall response times to emergency calls for service from around 5.5 minutes (also the national average) to a low of 4.5 minutes during 2012. This is an exceptional accomplishment, considering the department’s diminished resources. Similarly, the department was able to cover an additional position on each shift and save the city approximately $100,000 at the same time, while identifying the regular work schedule of “6 days on/3 days off” as being very inefficient and a relief-factor problem for the department. By utilizing the criteria in the CALEA Standards to analyze our manpower distribution, the department changed its officer work schedule to a two week “5 days on/2 days off” schedule that rotates to a one week “4 days on/2 days off” schedule. We also changed the shift hours from 8am-4pm, 4pm-12am, 12am-8am to 7am-3pm, 3pm-11pm, 11pm-7am, which distributed our manpower in a more efficient and effective manner, based on the workload demands of the city, rather than antidotal information. Moreover, the city gained an additional 12.2 shifts a year per officer by converting work schedules. The department believes this demonstrated continuous improvement in analyzing organizational data for the purpose of public safety improvement and embodied the CALEA benefits of making informed management decisions based on analysis and best practices. Another area where the CALEA Law Enforcement Standards have helped agencies, and that we utilize daily, is crime analysis. While we have firmly engrained in our department the model of community-based policing, we have also added a predictive factor to this mix by analysis of crime patterns for our service area. We currently utilize CrimeReports.com, and review the information supplied by this software at each shift briefing. We also focus our personnel in the areas where crime patterns are occurring, which provides us with better utilization of our resources. Because the Trotwood Police Department is CALEA Accredited, we continuously review data and analyze the results as the Standards require. This provides us with time-honored best practices, as well as brings to the forefront of emerging issues, the best manner to contend with those issues as a professional, law enforcement agency.